It’s $30 Thursday, and I’ve been saving this little gem for just such an occasion! You may remember our recent bathroom makeover from a few weeks ago. 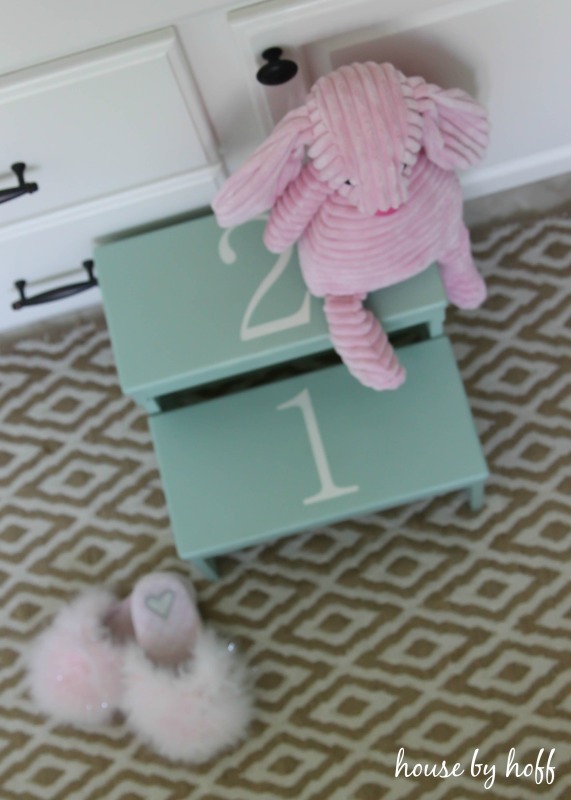 I got questions about the little numbered step stool in some of the pictures. Well, here it is in all of it’s numbered glory! I actually went back and forth for awhile about what exactly to do with this little stool. I wanted something cute that would add a pop of color to the otherwise pretty neutral bathroom. I considered stenciling a little whale, or seashell, or something more kiddie-like, since it really is for Miss L. to stand on when we wash her hands and brush her teeth. But, in the end, I nixed the little-kiddie ideas and went with something that would always look good, and that I wouldn’t get tired of looking at after a few years…You can’t go wrong with numbers, right? 1. I found this step stool in the garage-sale pile in a friend’s garage. It is quite sturdy and made of wood. 2. I primed and spray painted the stool with several coats of Krylon’s “Catalina Mist.” It’s my new favorite spray-paint color. Next, I used my Silhouette Cameo to make some numbered stencils with vinyl. I used a circular sponge brush and dab, dab, dabbed with American Accent’s Heirloom White. 3. The great thing about using a vinyl stencil is that you get really clean lines when you peel off the vinyl. It gives the stenciled numbers such a professional look, no? 4. Tada! 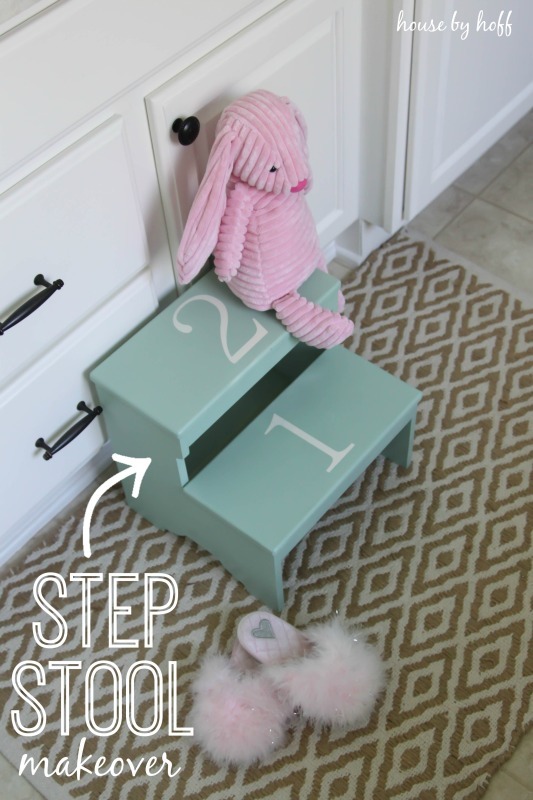 LOVE this little step stool! 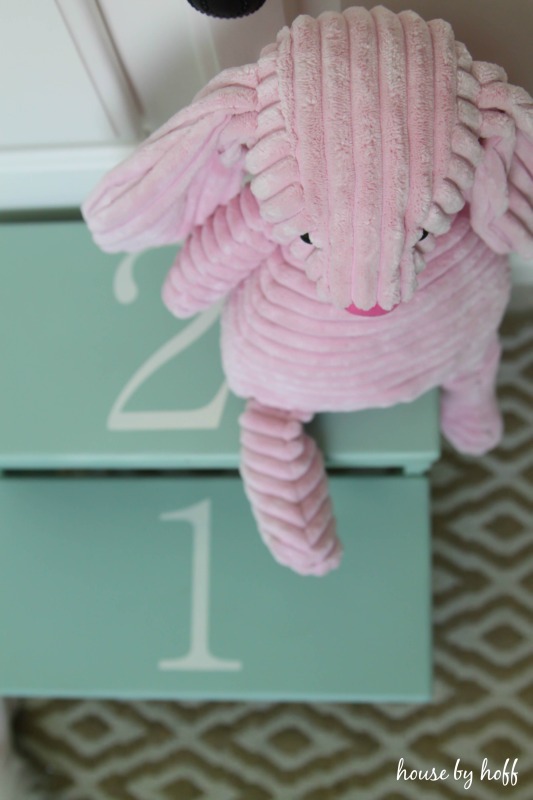 I love the way the little step stool makeover came out! I love it styled with Miss L.’s little slippers and bunny even more! 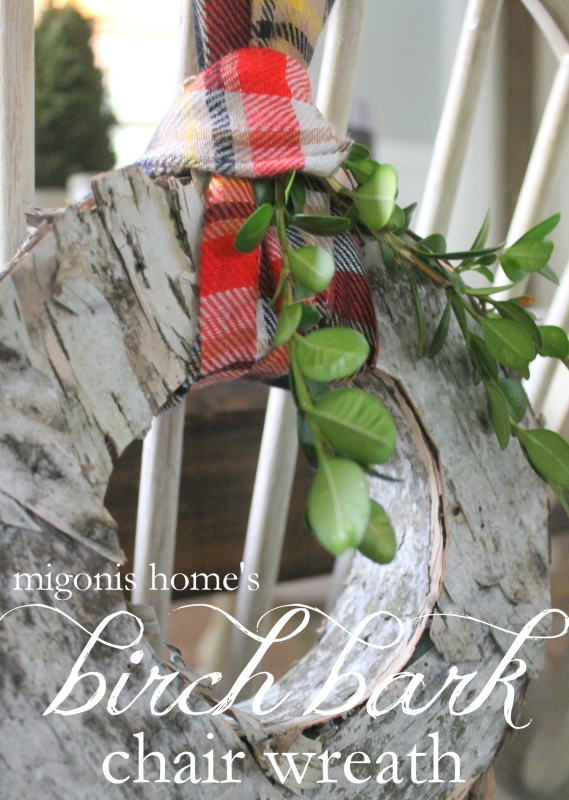 Check out Jen’s Birch Bark Chair Wreath, here. 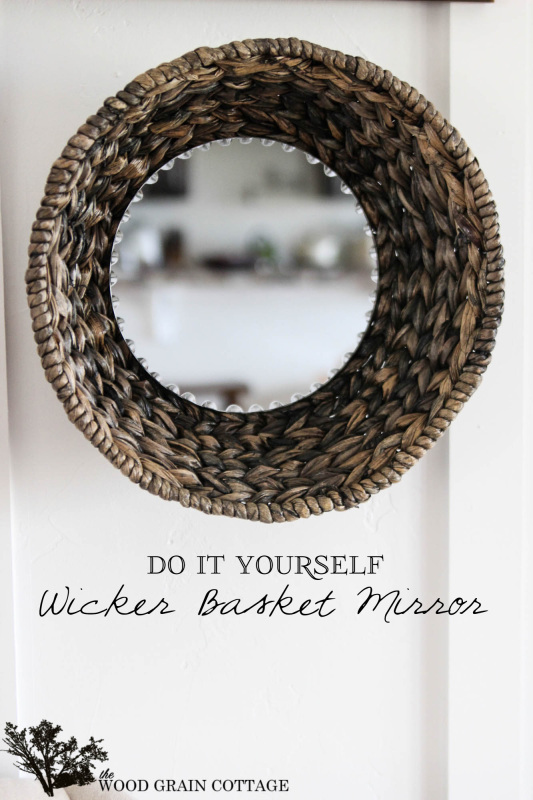 I just love this DIY Wicker Basket Mirror that Shayna put together! Previous Post: « Kenroy Home Eureka Wall Mirror Giveaway! April I love your step stool “like crazy cakes.” I love the cute pink slippers too. I have a question for you. Are you by any chance related to Shayna at The Wood Grain Cottage”? 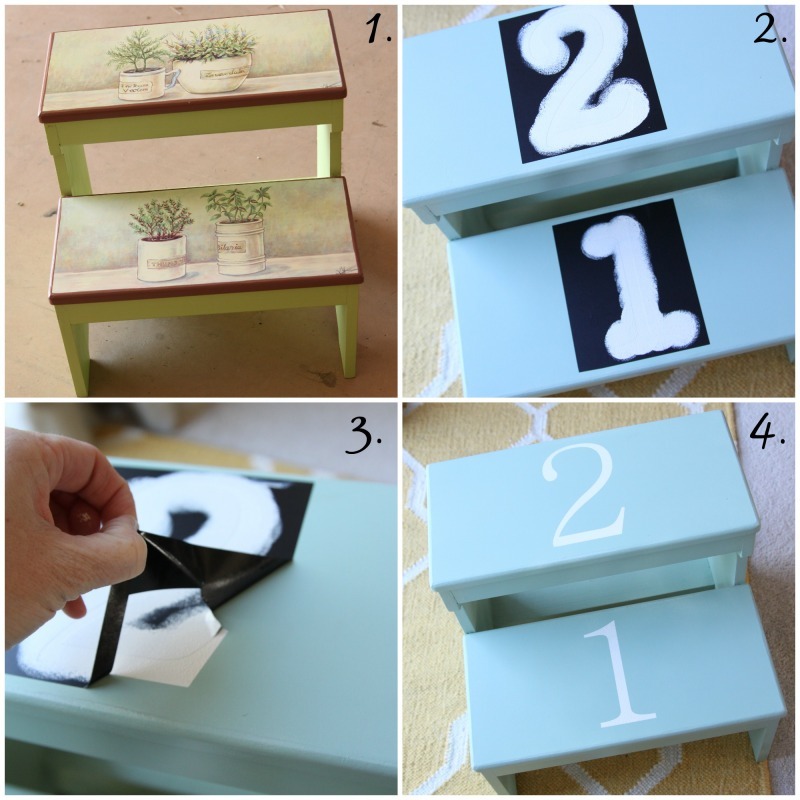 She’s a great blogger and DIY project maker! Love it–another great (and affordable) project! Thanks for linking up at the Pretty Preppy Party!